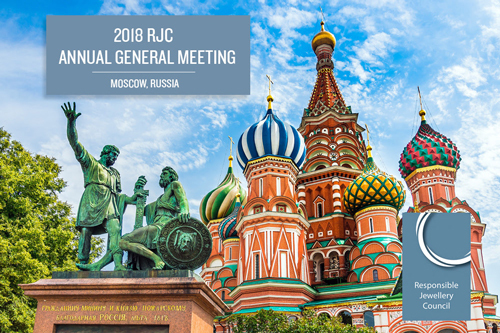 RJC holds its Annual General Meeting and associated briefings every year in May. It is an opportunity for Members, stakeholders and interested parties to come together and engage in discussion about RJC activities. 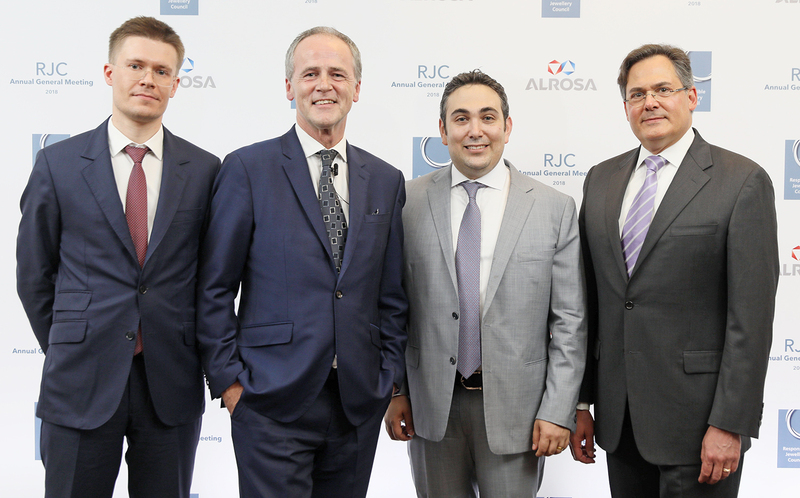 The RJC has announced a series of senior appointments to its Board of Directors as the organisation continues to strengthen its position as the jewellery industry’s foremost standards setting and certification body. David Bouffard, Vice President of Signet Corporate Affairs, has been appointed the new RJC Chair. Over his extensive career, David has been responsible for developing and implementing longstanding and industry-leading sustainability and social responsibility initiatives. David has been the Chair of the RJC Communications Committee since 2015 and a member of the RJC Executive Committee since 2012. 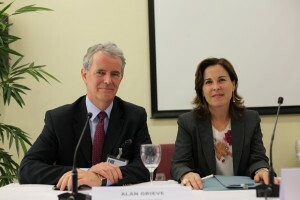 David previously served as Co-Chair of the Standards Committee from 2012 – 2014. 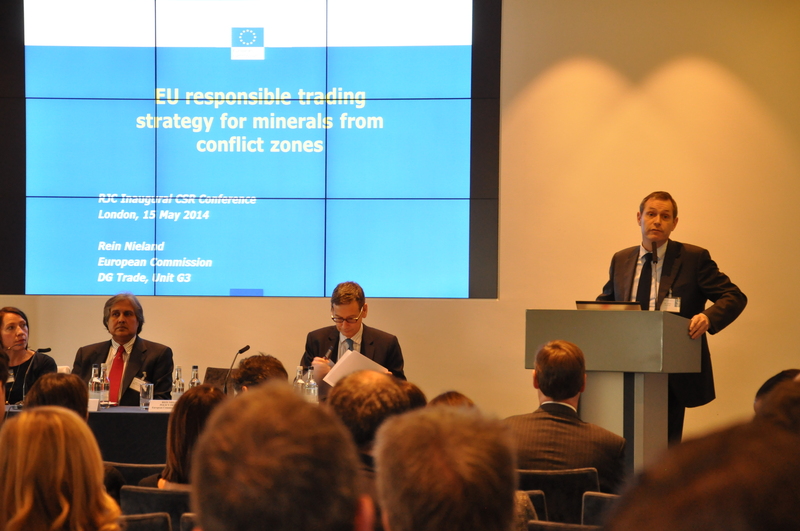 Peter Karakchiev, Head of International Relations at ALROSA has been appointed Vice-Chair. 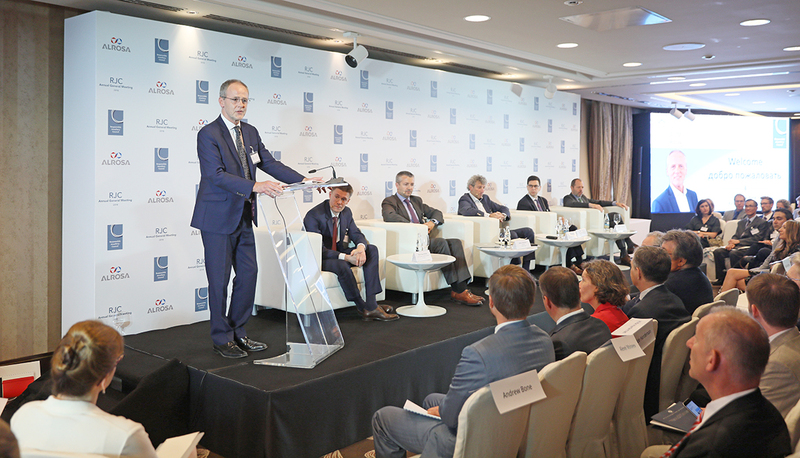 Peter’s role at ALROSA, which he has held since 2013, puts him at the helm of a wide range of company’s international activities. He was elected to the RJC Board of Directors in November 2016 and in his new role will promote further development of RJC Standards, and their establishment as industry-wide best-practice. Jason Rubin, President and CEO of the Republic Metals Corporation has been appointed as the RJC’s new Honorary Secretary. A precious metals refining expert with more than 20 years’ experience, Jason will be responsible for supporting the Chair and Vice-Chair with their duties as well as ensure the smooth running of the Board of Directors and Executive Commitee. L-R: Peter Karakchiev, RJC Vice-Chair; Andrew Bone, RJC Executive Director; Jason Rubin, Honorary Secretary and David Bouffard, RJC Chair. 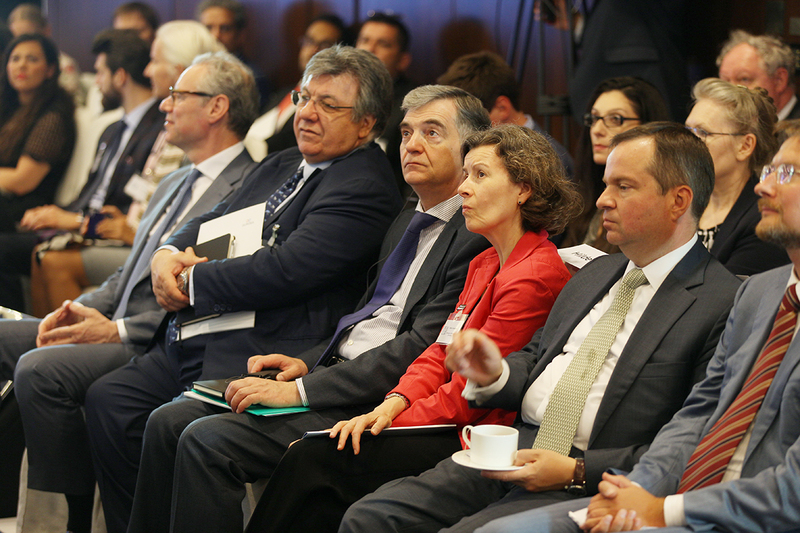 A number of new Board members were also appointed to represent their respective area of expertise on the RJC’s Board of Directors: Didier Backaert, Bonas & Co Ltd.; Rene Wiskemann, Allgemeine Gold- und Silberscheideanstalt AG; Giorgio Bodei, Pomellato SPA; Isabelle Poly, Piaget; Deborah Azar, Gemological Science International; and Stephane Fischler, IDMA. A number of RJC member companies from around the globe attended the meeting, where they discussed the RJC’s future direction, and how best to drive forward the rigour, responsibility and transparency that the RJC aims to bring to the industry both upstream and downstream. Speaking on the new appointments, Andrew said: “The RJC strives to be the recognised standards and certification organisation for supply chain. The appointment of three highly experienced Board Officers and a number of new Board Members will further improve the depth of expertise we can offer our members across the jewellery sector. 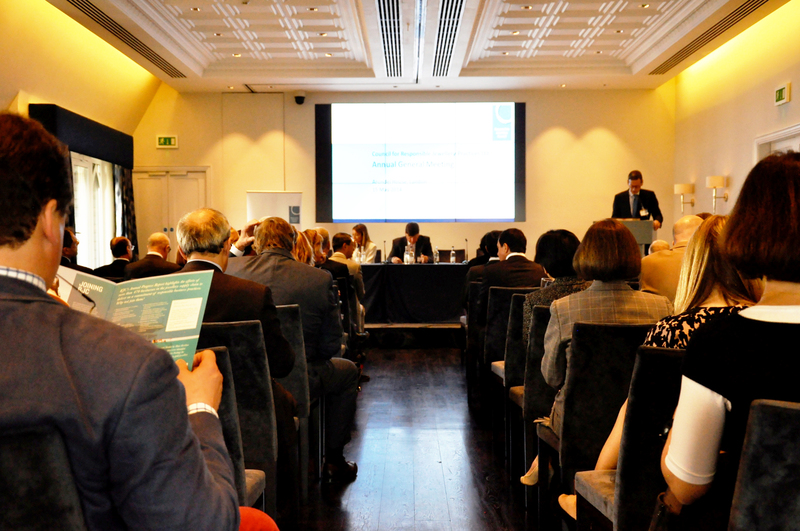 The Responsible Jewellery Council held its Annual General Meeting (AGM) in London, on Thursday, 15 May 2014. All resolutions proposed were passed: the directors’ report and financial statements were accepted, Mr. Charles Chaussepied, Piaget, was formally elected as RJC’s Vice-Chairman. Mr. Mark Jenkins, Signet Jewelers Ltd., was re-elected as Honorary Secretary. The continuation of the current sitting Founding Member Directors on the Board until the 2015 AGM as well as procedures for the 2015 and 2016 AGMs were ratified. RJC’s Membership elected Jackie Morsel (Dali Diamond), Charles Chaussepied (Piaget), Simon Rainer (British Jewellers’ Association), Bev Hori (Gemological Institute of America), Boaz Lev (Gem Lab Services), Stella Layton (The Birmingham Assay Office), Philippe Neu (Charles Perroud SAS), Wilfried Hoerner (Argor-Heraeus), Daniela Colaiacovo (Eurocantera) and Luis Moran (Minera Yanaquihua) to its Board of Directors. For a copy of the AGM Minutes please click here. Following the AGM proceedings, RJC hosted a Conference on CSR in the diamond, gold and platinum group metals supply chain. 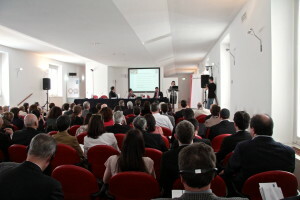 A line-up of industry leaders, civil society and experts addressed topical supply chain issues. For a copy of the conference slides please click here. For a list of participants please click here. The conference concluded with RJC Chairman James Courage’s announcement that the 2015 AGM will be held at the Bharat Diamond Bourse (BDB). Anoop Mehta, thanked Mr. Courage and welcomed the industry to India in 2015. “I promise everyone who attends they will have a truly unique experience as we show you the Indian diamond industry,” says Anoop Mehta. “Looking toward RJC’s future, the strategic engagement with the Indian market undertaken by RJC through 2014 has allowed us the very special and unique opportunity to host RJC’s first-ever AGM outside of the European market,” says James Courage. Kindly hosted by UniCredit Bank. The Responsible Jewellery Council held its Annual General Meeting in Milan, Italy on Thursday, 23 May 2013. 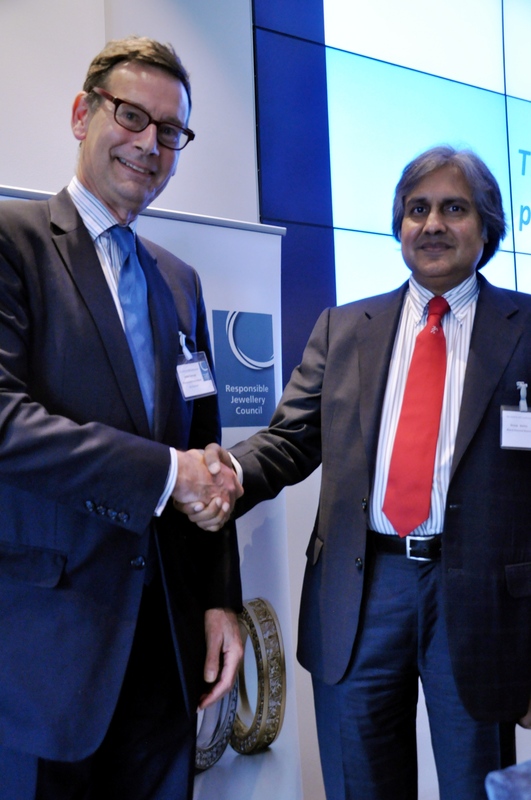 All resolutions proposed were passed: the directors’ report and financial statements were accepted, Mr James Courage, CEO, Platinum Guild International, was formally elected as RJC’s Chairman, and Feriel Zerouki, Best Practice Principles Manager, De Beers Group, was elected as Honorary Treasurer. Michael Steinmetz (Leo Schachter, USA), Ryan Taylor (Fair Trade Jewellery Co, Canada), Christine Boquet (Syndicat Saint Eloi, France), Donna Baker (GIA, USA), Mauro di Roberto (Bulgari S.p.A., Italy), David Gavin (David Greg Jewellery, Canada), Neil Richard Harby (Rand Refinery, South Africa) and Ivana Ciabatti (Italpreziosi S.p.A., Italy) were each elected to the Board of Directors, each representing their respective Member Fora, including diamond trading, cutting and polishing; jewellery retailer; jewellery manufacturer and wholesaler; service industries; trade associations; and gold, platinum group metals traders, refiners and/or hedgers. The AGM was followed by a Standards update from Dr. Fiona Solomon, RJC Director – Standards Development. Dr. Solomon highlighted the progress in the RJC Standards program over the last 12 months, including the Code of Practices review and RJC’s key role in the area of responsible sourcing. Ms Effie Marinos, Sustainability Manager at SGS, gave an auditor perspective on the value of third party assurance for businesses. Dr. Gaetano Cavalieri, President, CIBJO, followed with overview of the value of CSR education to the jewellery industry, and the synergies between CIBJO and RJC. Click here for a copy of the Standards Update slides. 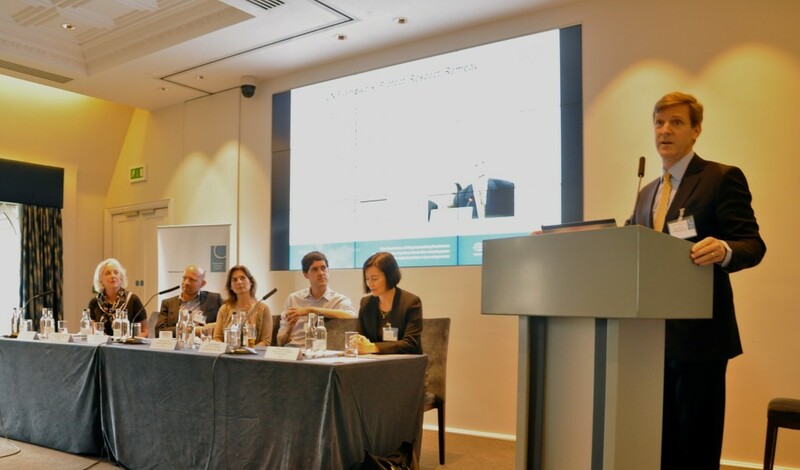 Following the Standards update, a Panel Discussion on Responsibility and Assurance in the Jewellery & Watch Industry focused on industry leaders discussing responsible business practices and the importance of the RJC Certification system. 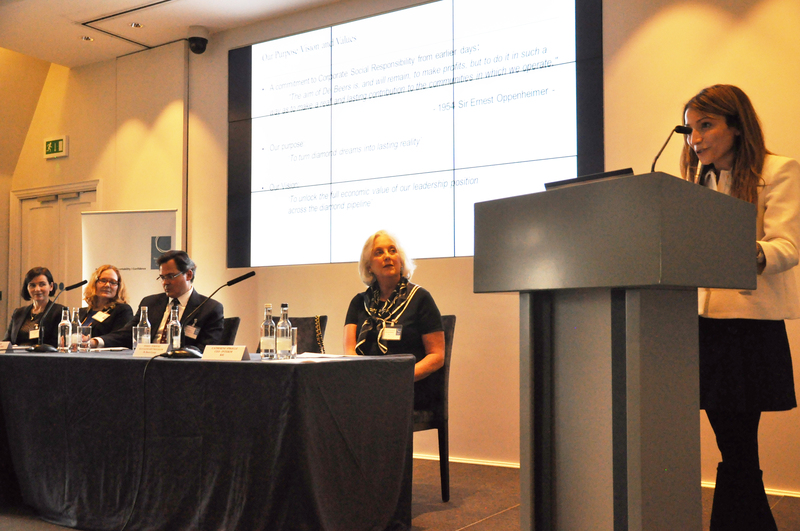 Monica Cellerino, Unicredit Bank, Maria Benedetta Francesconi, Italian Ministry of Economic Development, and Augusto Ungarelli, Club degli Orafi Italia, opened the session with their sector’s perspectives on the jewellery industry. Licia Mattioli, Confindustria Federorafi, Massimo Poliero, Legor Group, Mauro Di Roberto, Bulgari S.p.A. and Paola Signoretto presented their experiences with RJC standards and certification and what they mean for their organisations. Isabella Pratesi, WWF Italia, outlined the importance for the jewellery industry to engage on sustainability issues and responsible practices. 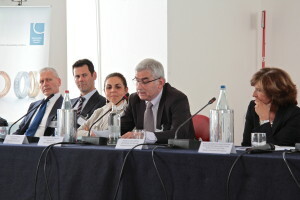 Click here for a copy of the Panel Discussion Slides. 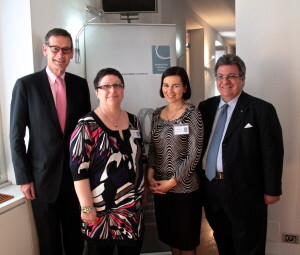 “I sincerely thank Unicredit Bank for their wonderful support in hosting the RJC AGM this year. I also wish to thank Assogemme, Bulgari, Confindustria Federorafi and Club degli Orafi for their organization and support. Their voices helped shape a very successful program,” says Mr. Michael Rae, RJC CEO. All resolutions proposed at the AGM were passed. Click here for a copy of the presentation. The AGM was followed by a Chain of Custody (CoC) update on the implementation for gold and platinum group metals by Charles Chaussepied, Piaget, Co-Chair of RJC Standards Committee, and Dr. Fiona Solomon, Director, Standards Development, RJC. Click here for a copy of the presentation. A report on further consultations with the diamond sector was provided by Derek Palmer, Co-Chair, Diamond Chain of Custody sub-committee. Following the CoC update, a Leadership Forum took place on the importance and future of responsible business practices, led by Bernadette Pinet-Cuoq, Deputy President, UFBJOP with participants Alan Grieve, Director of Corporate Affairs, Compagnie Financière Richemont SA; Pilar Cabo Coin, Marketing Director, Roberto Coin and Stella Layton,Global CEO, Cookson Precious Metals. 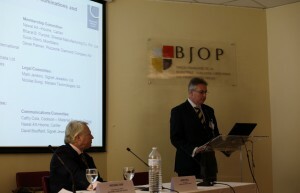 The RJC also acknowledged Dr Matt Runci, who will retire from the role of founding RJC Chairman in December 2012. In recognition of Dr Runci’s outstanding leadership in the formation, development and current success of the RJC, as well as his overall service to the jewellery industry, RJC has invited its Members to donate funds to the Diamond Development Initiative International (DDI International). Dr Runci serves as Secretary and as a Member of the Board of Directors of DDI. Click here for a copy of the donation form. All RJC Members are encouraged to help further the important work of DDI International in recognition of Matt’s pivotal contribution to the jewellery industry. “I profoundly thank all those Members who participated in the AGM process, either through their attendance in Paris or by lodging proxies. As a democratic institution ultimately governed by its Members, Member participation in the Council’s AGM is vital. The RJC is very grateful also to the Union Française BJOP for their great support in generously hosting the RJC AGM this year,” said Michael Rae, RJC’s Chief Executive Officer.